So many different things going on! 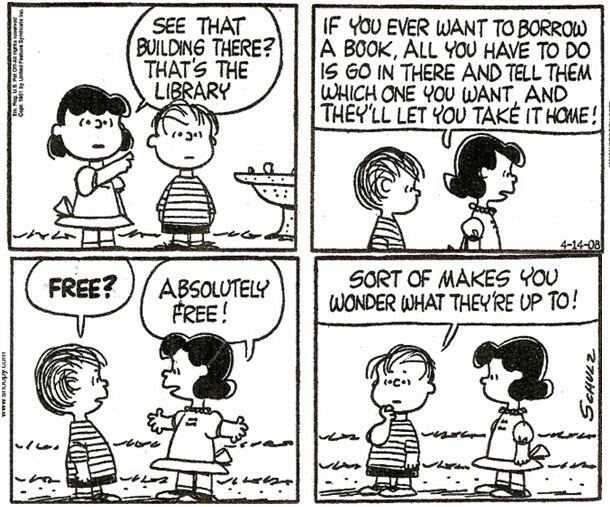 November was a month that the library & librarians were used for a bunch of different reasons! Ms. Grover conducted book talks for Science 8 students about books on Chemistry, the Periodic Table, Scientists, and popular fiction. Many students checked out the books that were discussed! 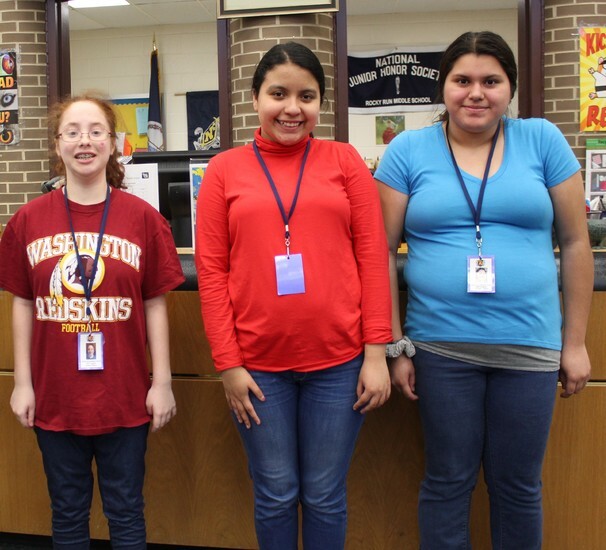 We love our newest helpers in the library, the WAT workers! They come every Monday to shelve books, wipe tables, organize displays, and push in chairs. We're so glad to have them! We received many submissions! 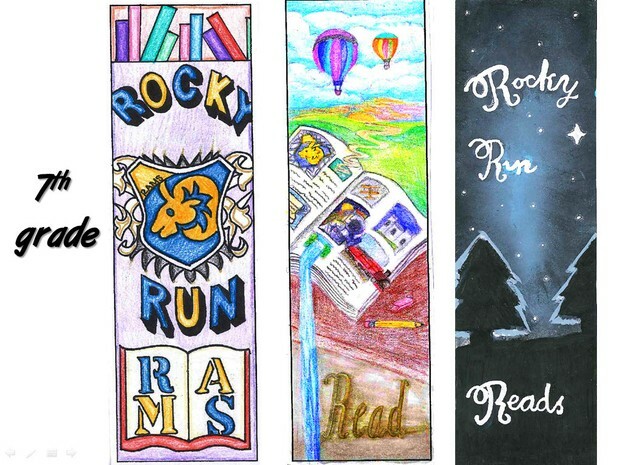 These are the ones that students & staff voted as the top bookmarks. Prizes for the winners were gift cards to Barnes & Noble. 1st place won $50, 2nd place won $20, and 3rd place won $10. 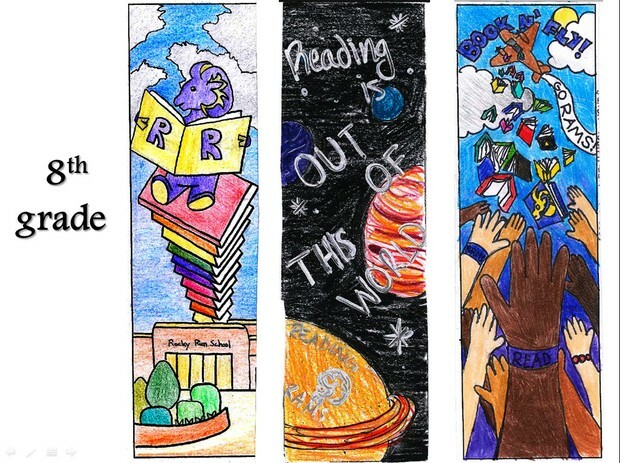 We also had the 1st place bookmarks for 7th & 8th grade printed and distributed to each student in that grade level. It was a tough contest this year! 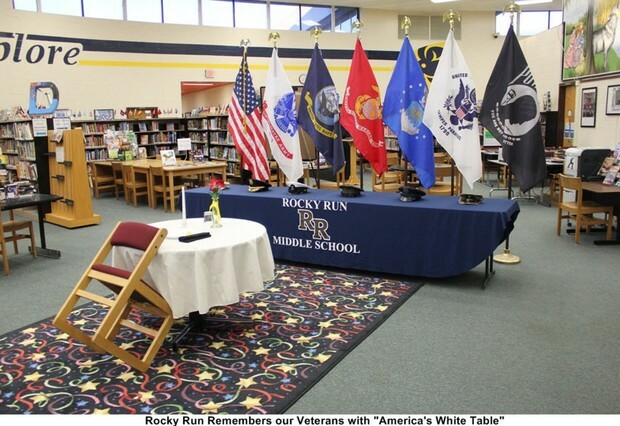 Our winners showed great Rocky Run pride. 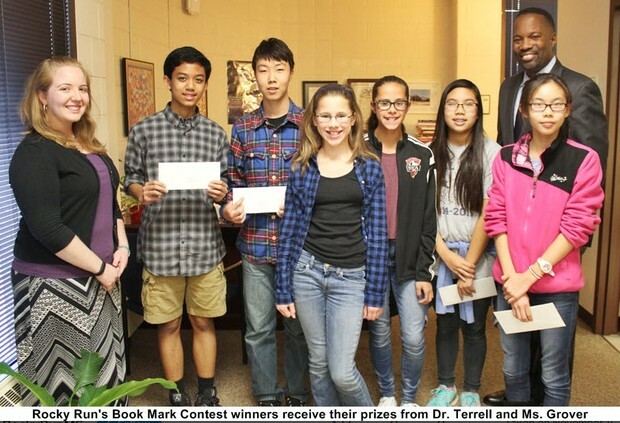 Below are photos of the student winners, as well as each grade level's winning bookmarks. 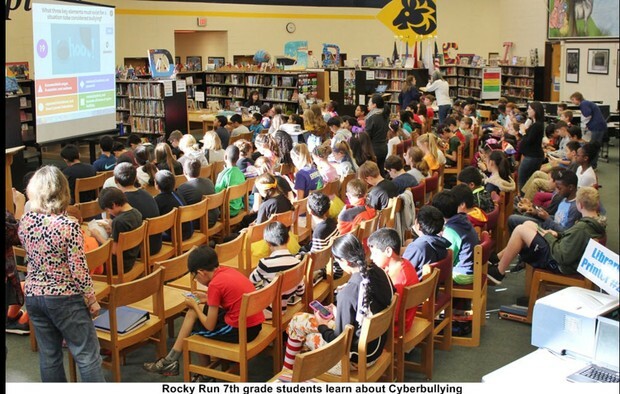 Student Services Takes Over the Library and Takes Down Bullying...with Technology! Students interact with the web program Kahoot on their personal devices as a way to show what they already know about bullying. Wondering if we have something you're looking for? Use the links below to check out our Library Catalog and access to our databases. Need the database passwords? Check out our Blackboard page! Stay tuned in December! We are having our 1st Annual Book Swap on Tuesday, December 8 & Thursday, December 10. Students can donate as many books as they wish during the week of December 1-4 for up to two swap tickets. These tickets can be redeemed on December 8 for books that other students have donated. We would love extra donations. :) Clean out your child's bookshelves of gently-used books that other middle school students would like to read. Drop them off in the office or send them in with your child. Volunteers! We need parents who will be able to be present on the day of the Book Swap. Sign up for a day & shift using this link. Any questions? Want more details? Email Ms. Grover!